Once again the Mynx Dance Troupe presents a special dance perfomance to benefit the Making Strides Against Breast Cancer Campaign. 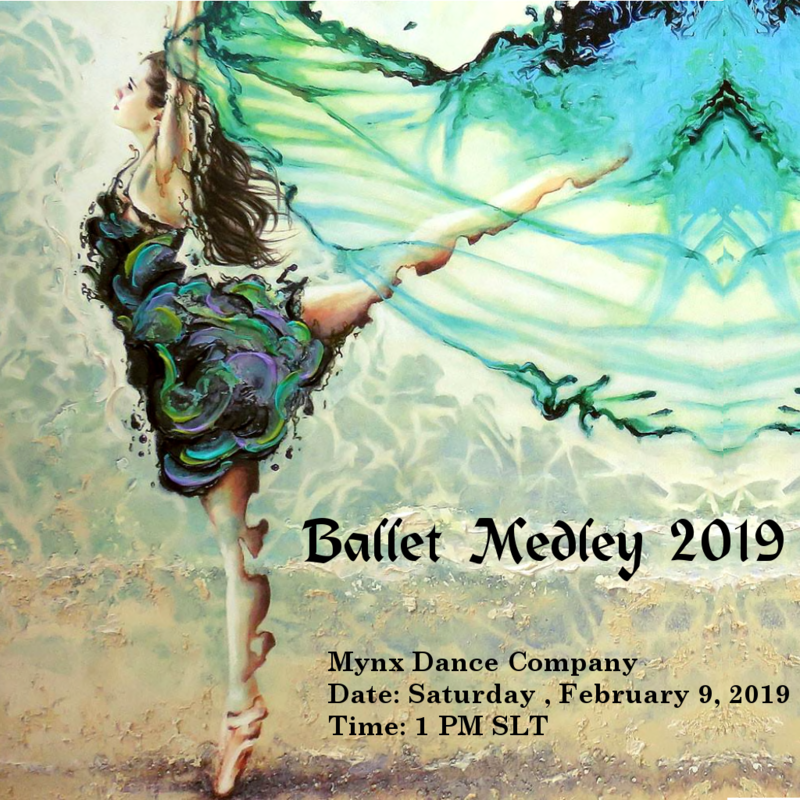 Come join us on Saturday, February 9th at 1PM SLT for a special Ballet Medley. Dancers from the Mynx Dance Troupe will take you on a magical journey through 10 amazing ballets. This is a not to miss show! This entry was posted in american cancer society, making strides, second life and tagged #acs, #American Cancer Society, #breast cancer awareness, #cancer, #TEAMMSABCofSecondLife, ACS, american cancer society, awareness, breast cancer, caregivers, Making Strides Against Breast Cancer, making strides against breast cancer across second life, mission, MSABC, survivors on February 7, 2019 by sandieloxingly. We all know that October is breast cancer awareness month, but did you know that American Cancer Society volunteers in Second Life work year-round to raise money and plan our pink-themed events that happen each fall? In 2018, our 5 campaigns combined to raise over $8,632 USD toward the American Cancer Society’s breast cancer mission. We appreciate all of the support that our “pink” volunteers across Second Life have dedicated. 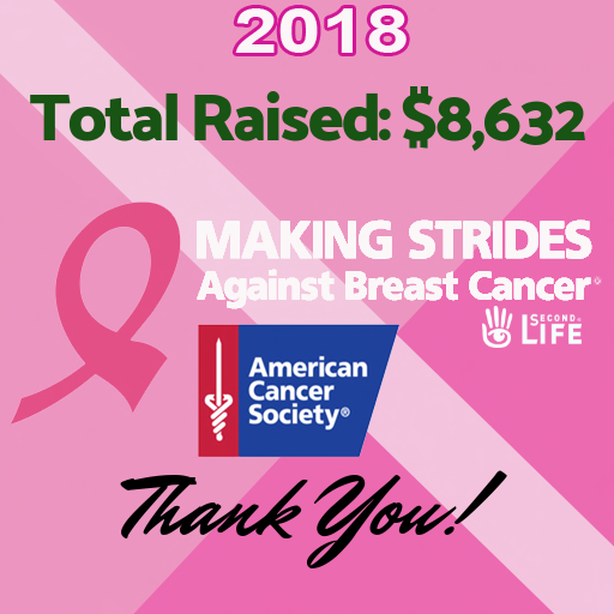 The 2018 total is the second highest ever, for Making Strides, and represents a significant fundraising increase over 2017. This is another example of how important it is to work together for a shared goal, where we are all important members of the Second Life community, and we recognize the valuable contributions we can all make. Whether you are a photographer, a merchant, a home builder, or any other active member of Second Life, there is an opportunity for you to Make Strides Against Breast Cancer across Second Life. Leala Spire & Sandie Slate have already begun planning for 2019. Anyone interested in participating in MSABC in SL should contact them. It’s never too early to get started! This entry was posted in american cancer society, making strides, second life and tagged #acs, #American Cancer Society, #TEAMMSABCofSecondLife, 2018 Making Strides Against Breast Cancer in Second Life, ACS, american cancer society, breast cancer awareness month, caregivers, Making Strides Against Breast Cancer, making strides against breast cancer across second life, survivors on January 8, 2019 by sandieloxingly. 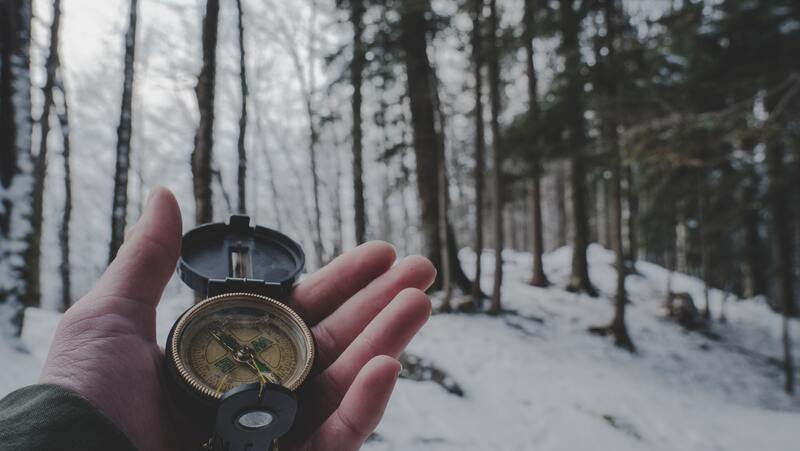 As the holiday season gets into full swing we need to remember that cancer patients/ survivors and cancer caregivers need extra patience and care during this time of year. For both cancer patients/ survivors and cancer caregivers, the American Cancer Society offers support in Second Life as well as in our first lives. The most important thing to remember every day – and especially during the holidays – that none of us living with cancer in our daily lives is alone. **For non- US patients/ survivors and caregivers, you are welcome to contact the American Cancer Society via web chat at cancer.org and they will be happy to try to direct you to resources available for you in your home country. This entry was posted in american cancer society, mission, second life and tagged #acs, #American Cancer Society, #cancer, ACS, american cancer society, awareness, cancer, cancer patients, caregivers, Coping With Cancer, Coping With Grief, Grief, survivors on November 21, 2018 by sandieloxingly. We have several awards we would like to present, along with appreciation and love for all the hard work that was put into this year’s Strides Events. While we will be delivering these awards in-world we wanted to post them all here so these wonderful people could be recognized. Making Strides Awareness Award: This award is awarded to the individual who has spread the concept, message, and mission of Making Strides in Second Life the most. The following will be receiving this award for 2018. Friends of Strides Award: This award is awarded to individuals throughout the Second Life community, who have contributed to the Making Strides season in Second Life in various ways. In our Strides Walk, we had registered and unregistered walkers. We want to thank them both for coming out and supporting Strides. Listed below are all the walkers and the laps walked. Registered walkers will be receiving their gift bags and we will be sending Pink Strider’s Award to all even unregistered walkers as a thank you. Builders Awards for the Strides Parade of Homes in SL – All active builders who joined the Strides Parade of Homes in SL event were eligible for voting from visitors to each build. Here are the winners in each category. This entry was posted in american cancer society, Committee event, making strides, second life and tagged #breast cancer awareness, #TEAMMSABCofSecondLife, 2018 Making Strides Against Breast Cancer in Second Life, 2018 Strides Walk, ACS, american cancer society, awareness, breast cancer, breast cancer awareness month, cancer, events, Making Strides Against Breast Cancer, making strides against breast cancer across second life, mission, MSABC, strides, Strides Parade of Homes in Second Life, strides walk, survivors on November 8, 2018 by lealaspire. Winners for 2018 Photos For A Cure Photo Contest were announced recently in-world. Now we would like to share them with you along with the photos. This year’s theme was The Rack Pack. This year’s event brought in more donations than ever before. Congratulations to our winners and a special thank you to SKYY games for sponsoring the event. This entry was posted in american cancer society, Committee event, contest, making strides, Photos For A Cure, second life on November 3, 2018 by lealaspire. From sleek modern to cozy, there’s something for every home taste in the Parade of Homes. Be sure to stop by the houses on the Parade, which goes through Wednesday.. Be sure to bring your Lindens because the houses are for sale and many of the stops also have furniture and more that goes with the homes, all benefiting MSABC Across Second Life. Wood paneling warms the sleek modern Miami Loft from Harrys Houses. The skybox features plenty of room while still maintaining an open feel. Take a trip to the Middle East with the White Villa from Studio Craft Architect. With its clean lines and exotic flair, the Villa transports you to a 1,000 Arabian nights! The sprawling home from Pierce Designs Studios is an experience that is not to be missed. The multi-level home with a river running through it brings nature indoors. Explore the hillside home and see what wildlife you can spot. Feel the fog rolling in off the water in the mAI Sweet Home in its Lighthouse. With Old World charm, the lighthouse would be a graceful addition to your home. Plan to spend some time visiting the Love Everlasting homes. There’s two of them, each with a separate look and feel. See the indoor waterfall at the modern-style chalet or take in the coziness of the stone cottage. Both are available fully furnished and the decor is also separately available, all proceeds going toward MSABC! Rowanessque;s cozy cabin has cleaned lines and is perfect for those who wish to have a smaller home. If you have any questions about the Parade of Homes or MSABC please contact Leala Spire or Sandie Loxingly. Each year, more than a million passionate women, men, and children participate in Making Strides Against Breast Cancer, the largest network of breast cancer awareness events in the nation. The events unite communities by honoring those affected by the disease and raising money to reduce the burden of breast cancer. 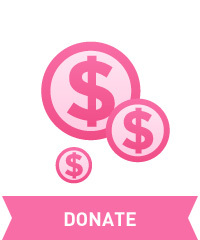 Dollars raised through Making Strides Against Breast Cancer help the American Cancer Society fund innovative breast cancer research; provide education and guidance to help people reduce their risk; and offer comprehensive patient support to those who need it most so that no one facing breast cancer ever has to walk alone. This entry was posted in american cancer society, making strides, Parade of Homes in SL, second life, Uncategorized and tagged #TEAMMSABCofSecondLife, 2018 Making Strides Against Breast Cancer in Second Life, american cancer society, blogging, cancer, MSABC, strides, Strides Parade of Homes in Second Life on October 28, 2018 by Serina Juran.